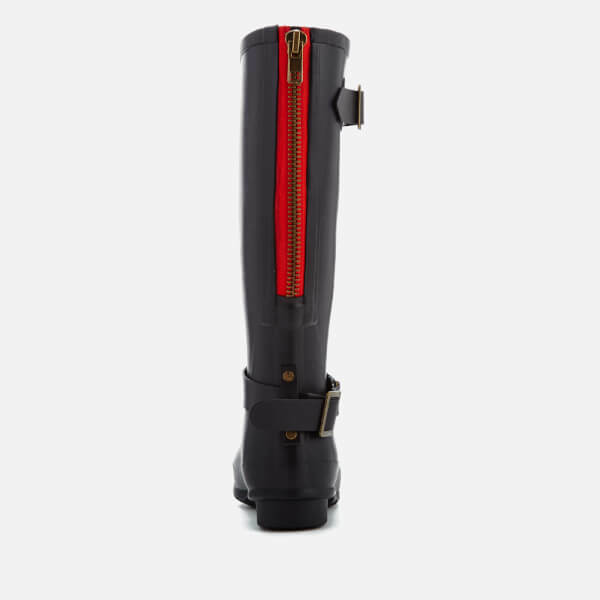 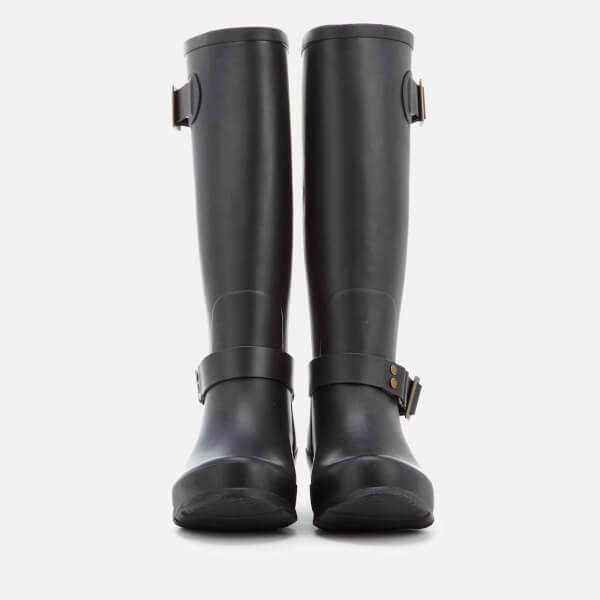 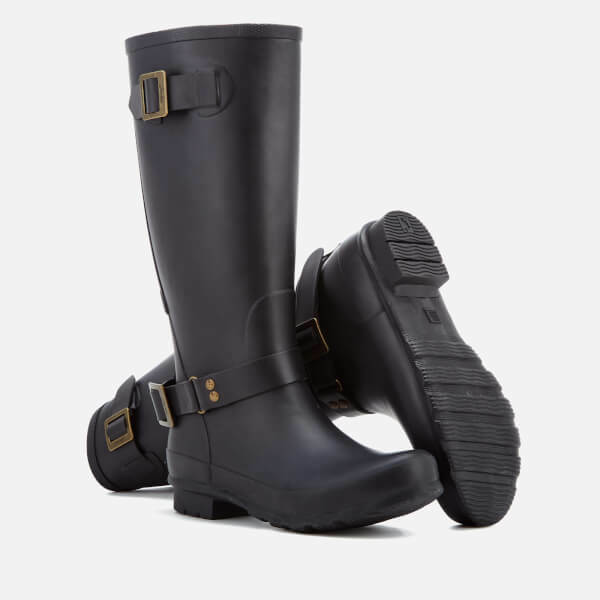 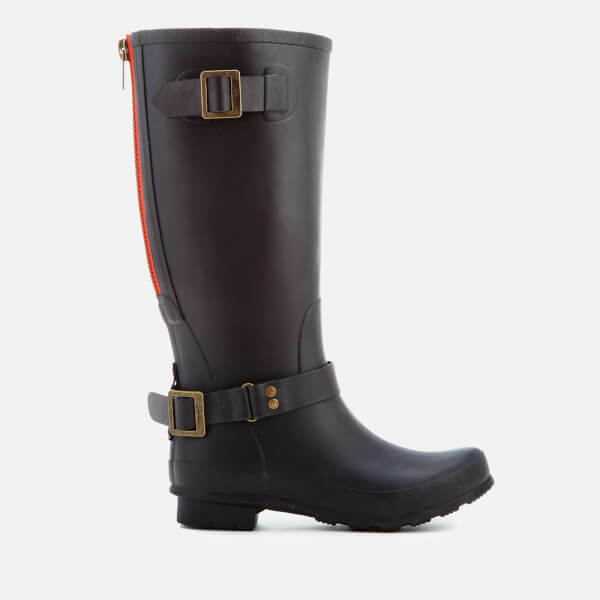 Women’s black biker-style wellies from British label, Joules. 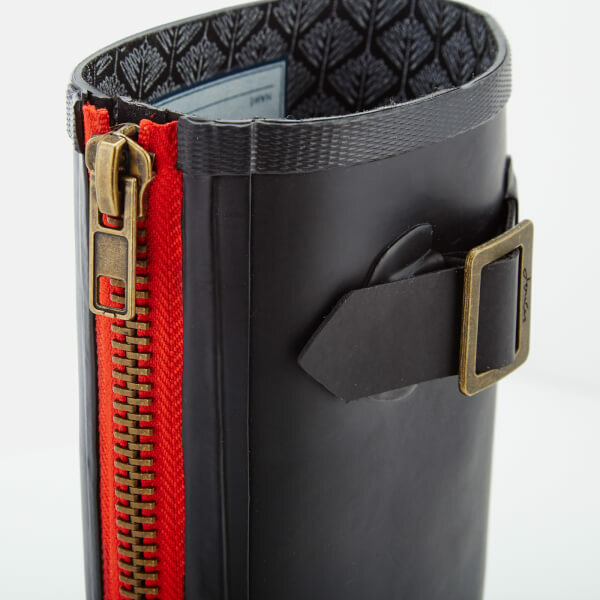 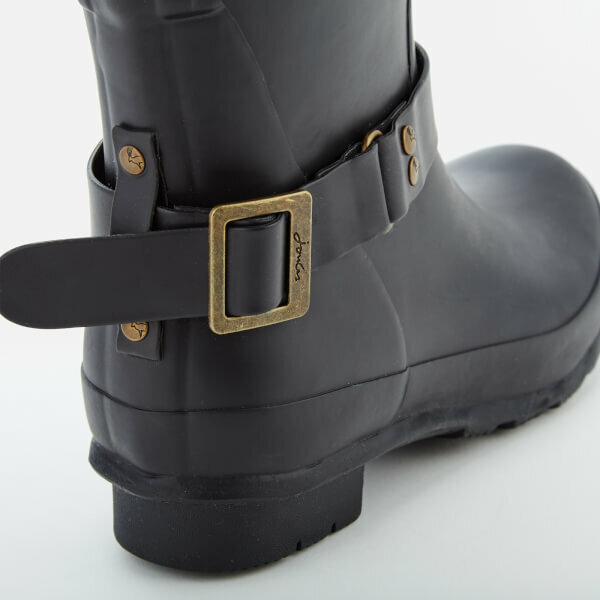 Crafted from premium matt black rubber, the wellies are detailed with buckle straps to the shaft and heel, antique gold-tone hardware and a back zip fastening to easily get them on and off. 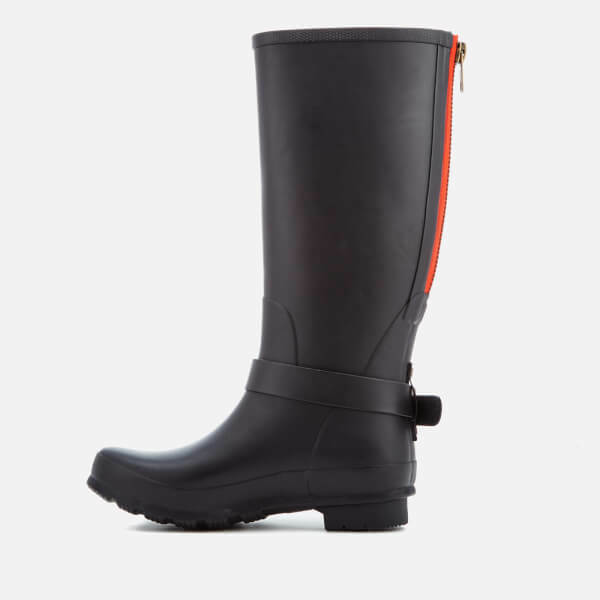 Complete with a printed fabric lining, a textured rubber sole for increased traction and a contrast red trim to the back.